When I went back to China last summer, I was surprised to find the orange-colored shared bikes everywhere around the city and many of my friends used these bikes to commute. How did these bike sharing business explode in China overnight? Could this digital initiative disrupt the urban transportation market? Bike sharing is not a new concept, but the market was growing slowly due to length and complexity of securing government approval and subsidies, and high capital cost of installing docks. In addition, it is still inconvenient to use, as customers need to find available docks to park and use credit card to pay. Mobike, a Chinese company founded in 2015, leveraged IoT (Internet of Things) technology to reinvent bike sharing. Mobike scattered its dock-less bikes in the urban areas and allowed customers to use mobile phone app to unlock the bikes. Without need for docks, the market demand has been largely stimulated and the company can launch its service in a new city in only a few weeks. Mobike is now the largest smart bike-sharing company. The platform now claims over 200 million registered users across 200 cities around the world, serving over 30million rides a day. Unlike a traditional shared bike requires riders to pick up or drop off at some fixed places, Mobike’s riders can park their bikes anywhere (as long as it’s a legal destination) at any time. 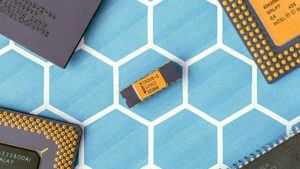 A GPS tracker and IoT chip is embed in the bike, and each bike can be connected through the cloud. Riders can use their smart phones to unlock the bike easily by scanning a QR code, and use mobile payment to pay. The bikes are designed to be relatively maintenance-free for three to four years, and with the help of GPS tracker, the company can collect faculty or long-term idle bikes. Mobike’s bike sharing is creating values for customers. Firstly, Mobike’s bike sharing can help customers solve a real pain point, “the last mile” problem, by providing a cheap, convenient and fashionable commute system. Using mobile phone to unlock and return a dock-less bike is super easy and it only cost $0.3 per hour! Secondly, Mobike can help reduce congestions and improve transportation efficiency for customers. In many cities of China, public transportation is usually very crowded and driving private cars usually face traffic jam or parking difficulties. 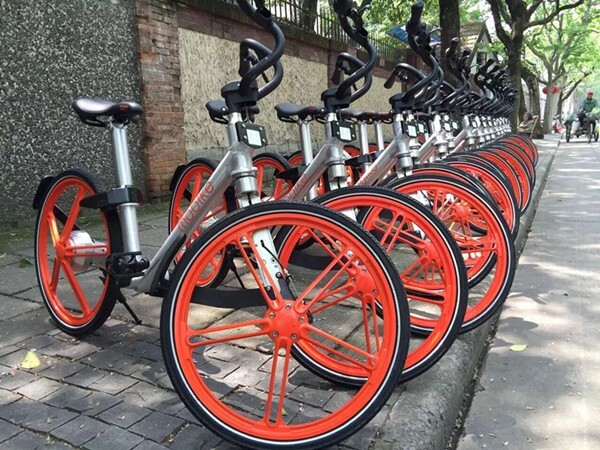 Mobike could be an alternative to serve short urban trips. Finally, bike sharing is also a nice way to encourage customers to exercise and help them become healthier. Mobike’s bike sharing is also creating value for the society. By providing an environmental-friendly alternative, the company contributes in reducing carbon emissions. In 2017, Mobike was awarded “champions of the Earth” by UN environment, for exploring market-driven solutions to air pollution and climate change. The company states that “together, Mobikers have cycled over 18.2 billion kilometers, the equivalent of saving over 4.4 million tonnes of carbon emissions (equivalent to taking 1.24 million cars off the road a year), worth more than $194 million in economic benefits.” As air pollution is a serious problem in China, Mobike is creating value to the society by protecting environment and combating climate change. With the huge value creation, Mobike tries to capture the value by integrating the hardware, software and service. It designs and manufactures its own bikes in house, and integrates bikes with its IoT network. In the long term, there is also a potential to monetize the data collected. Although it hasn’t achieved breakeven, it is backed by many VCs and big tech companies. In June 2017, Mobike closed its series E funding, a $600million investment led by Tencent. The company grows rapidly in the past two years, and values at $3billion now. By leveraging digital technologies, Mobike is turning a simple idea into business with big impact, creating value to customers and the society, and transforming the urban transportation in a healthy and environmentally friendly way. I personally believe it is a winner in the digital era. Interesting post! The bike-sharing frenzy in China has attracted more competitors into the market and brings fierce competition due to the low entry barrier. The increasingly intense competition has posed great challenges for bike sharing companies who are already making little profits. To fight for bigger market share and more active users, companies like Mobike had to provide aggressive discounts and favors for riders, leading to price wars. I think a natural industry consolidation would occur over time. It would be interesting to see how the bike sharing industry in China eventually winds down, and which player would be the last one standing.